Sona is the Maven of the Strings in League of Legends! 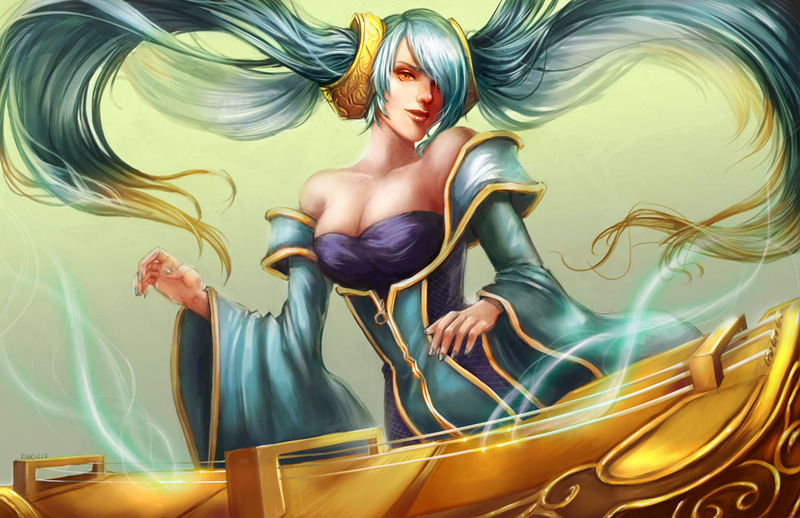 Sona is one of the many Champions in the popular “Multiplayer Online Battle Arena” League of Legends. I must admit i never played the game by myself yet and don’t get all the buzz around it, but must also admit that many of the character designs are simply beautiful. This Sona is no exception and so it does not wonder me that the Canadian artist Ka-ho draw her multiple times already. I looked up Sona’s story on LoL.com a bit here and found that it is quite interesting and that Ka-ho illustrated her with this artwork and also her other Sona related older ones very well!